I thought about making my first video blog today but then I looked in the mirror and realized that I look a hot mess. More importantly I’m too lazy to do anything about it. So you all will have to wait to see my pretty face talk about random things at another time. Really I just wanted to make a quick mini post to celebrate MLK day and the 2nd Inauguration of President Obama since both my twitter timeline and facebook newsfeed are cluttered with POTUS updates. Even though there are a lot of people that disagree with his policies, skin color or whatever else, you’ve got to admit that he’s a dashing fellow. 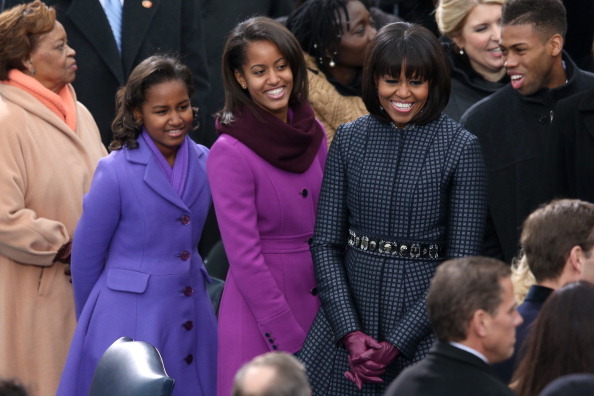 And Michelle Obama and the girls were looking stylish, classy and FLAWLESS as ever at the Inauguration. You never see them with a hair or thread out of place and I think they are portraying a wonderful image of what African Americans are and can become. 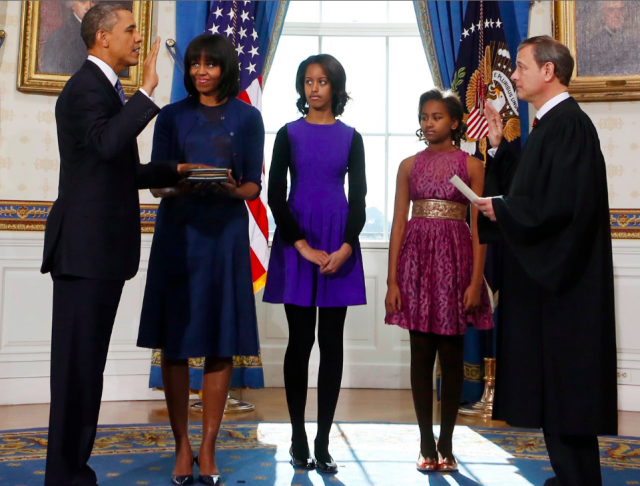 Here is a little showcase of the fashionable Obama ladies. About month ago while I was getting my hair done by an African lady (I believe she was from Sierra Leone), she showed me this music video called Uncle Obama. After I realized what Sister Deborah was really singing about I thought it was pretty hilarious. I guess Obama is a hot topic in Ghana too!